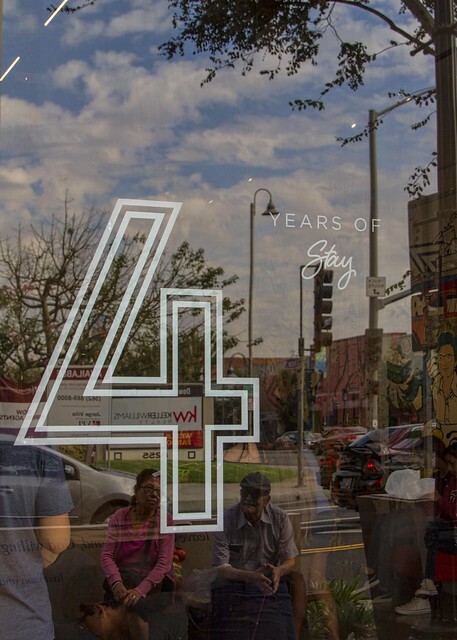 Stay Gallery is 4 years old! 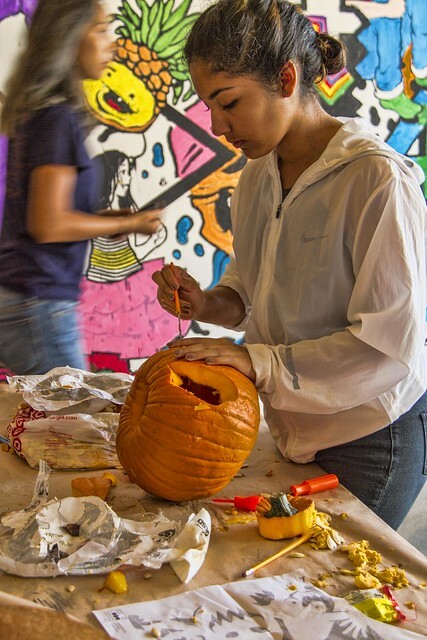 Today they had a pumpkin carving day that I almost missed. By the time I arrived, there was only one person left carving. But it was still fun to watch. And, in celebration of being four years old, there is a new wall-to-wall mural inside the gallery. 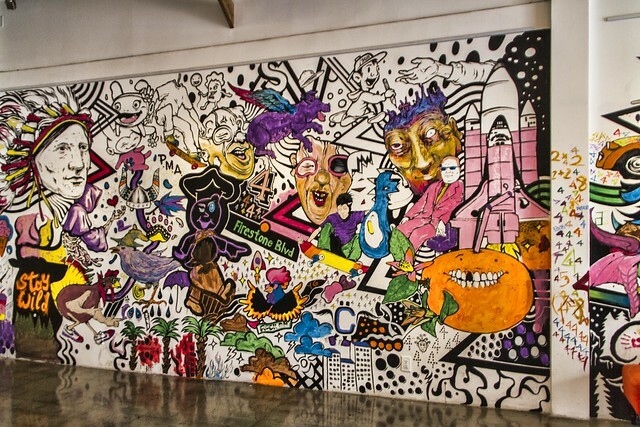 A fun celebration of many hands, some who designed, some who painted and gave it life.